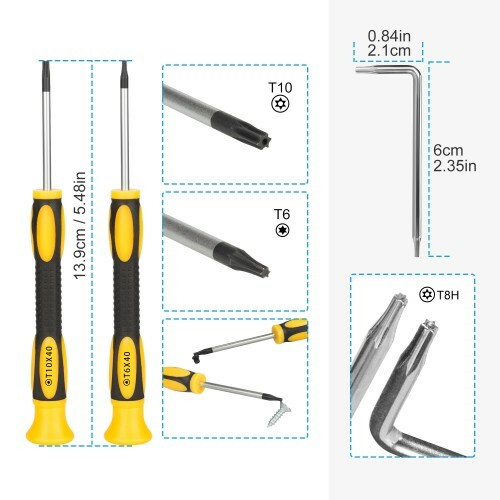 Nintendo Triwing Screwdriver, Keten Professional Full Tool Kit for Nintendo Switch and other Nintendo Products, Security Screw Driver Game Bit Set . 1. 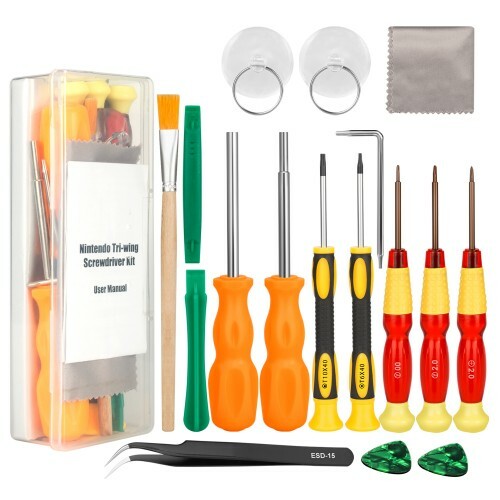 This Tool Kit specially serves for modern Nintendo Products and many other game devices, durable and a handy bit makes your work more efficiently. 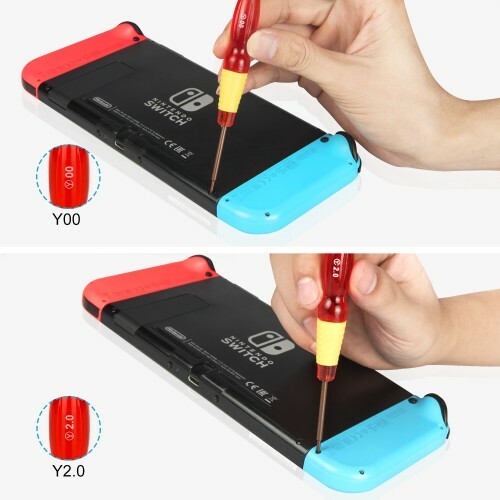 Y-tip and PZ1 screwdrivers made with 2.0mm port, more fits for Nintendo Switch system. 2. 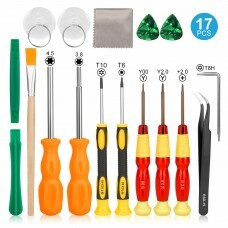 2.0mm triwing driver open: Nintendo Switch, NS, Wii, NDS, NDSL, DS Lite, GBA, GameBoy Original. 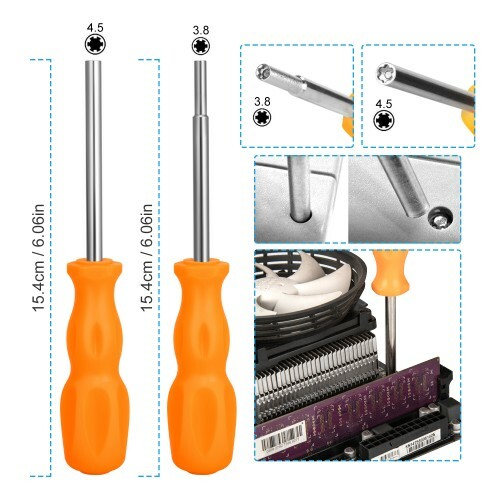 Upgraded durable strong hardened steel, heat treated for maximum strength. 3. 3.8mm opens game cartridges for Original Nintendo (NES), Super Nintendo (SNES), Nintendo 64 (N64), Virtual Boy, Original Game Boy, Game Boy Color, and Sega Game Gear. 4. 4.5mm version driver opens game cartridge for Sega Master System, Sega Genesis System, Sega 32x System; system for Super Nintendo, Nintendo 64, Game Cube, Virtual Boy, Game Gear, TurboGrafx 16, TurboDuo. 5. Additional Suction Cup & Cleaning Brush: Clean and Remove the cover from the cartridge more safely and easily. Want to know what complete independence feels like? 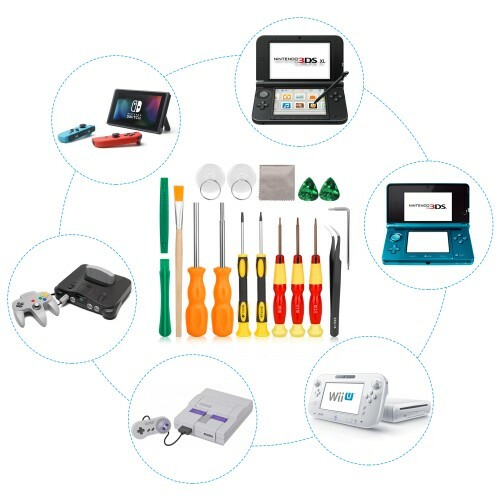 With this nine-piece, professional-grade tool kit, you'll never need to put your game console's future in the hands of a stranger. 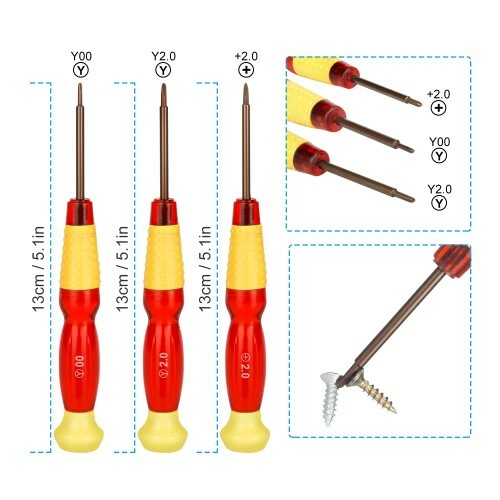 Five different screwdrivers fit the most screw heads commonly used in modern electronics manufacture, and the additional tools help to safely and easily remove the cover from the cartridge that you're repairing. 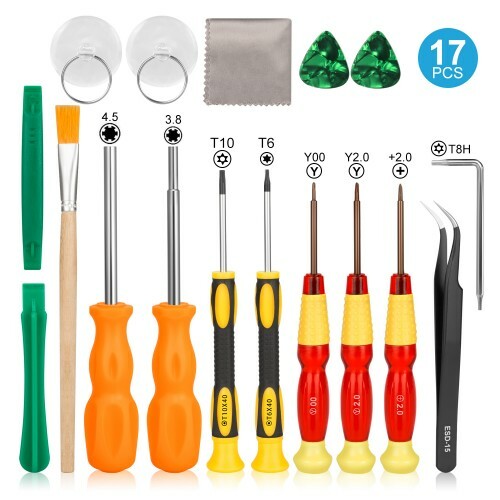 Experience true freedom and save money at the same time with your own nine-piece tool kit.